I have a 14 year old daughter and on May 2, 2010 she lost a friend that was very dear to her. Casey was her best friend and her first love. They knew one another their whole life. He was in a tragic car accident which he was ejected and well passed away at the hospital. I am a single mother of 3 and well, I have never lost anyone close to me ever and I'm at a loss. I look in her eyes and see so much pain. Courtney has changed over the past 2 months and she is now kinda scaring me. She is a excellent athlete, strong willed child that never turned from a challenge but now I see a child broken, hurt, in pain, heartbroken. I do not know what to do. She cries daily going from remembering him to missing him to asking why, to wanting to just be with him...I just don't know. What do I do? A very sad story. The fact is that ordinarily kids cope with grief better than most adults, but only if they are in a supportive environment with healthy models for dealing with grief. All of what your daughter is experiencing is a normal part of the grief process. You can't put a time limit or structure around grieving. All emotions have to be acceptable -- whether it's anger, sadness, hopelessness, guilt. teens if such a service exists in your area. But the feeling of wishing you were dead, or wanting to be with your lost friend is not unusual and is often part of the pain of losing a friend. 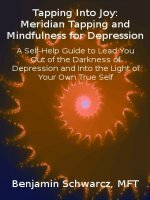 I cannot recommend highly enough, that you try using EFT (Meridian Tapping) with her as a means of very quickly and effectively reducing her feelings of heartbreak and grief. I've used this method for many of my own clients in their grief and it can shorten the length of grieving and eliminate the most painful parts of the process. It does not make you forget the person or the feelings, but can make it bearable so that you can move on and feel positive feelings again. You can find information about Meridian Tapping on this website. It is a self-help method that you can do on your own or with a guide or therapist (you can learn it and practice it with your daughter). I've never found anything more effective for healing trauma. Thank you so much for taking the time to respond to my email. The advice will definitely be taken and used. I encourage Courtney to talk to Casey all the time. We are very good friends with his parents and we go to there house all the time and in the beginning I feel Courtney got comfort from that but she sits in his room and just cries and cries. Casey's parents love Courtney to death and treat her like one of there own which I also think helps. I encourage her to put up pics, talk about him and today her & I went to see Casey at the cemetery. That was very difficult believe me. No parent should have to bury their child and no child 14 years old should have to endure such pain in heartache. I see the pain in my daughters eyes and it hurts me that she hurts and misses her Best Friend so much. RIP Casey we love you so much and please watch over your Courtney she needs you now more than ever. Thanks again.